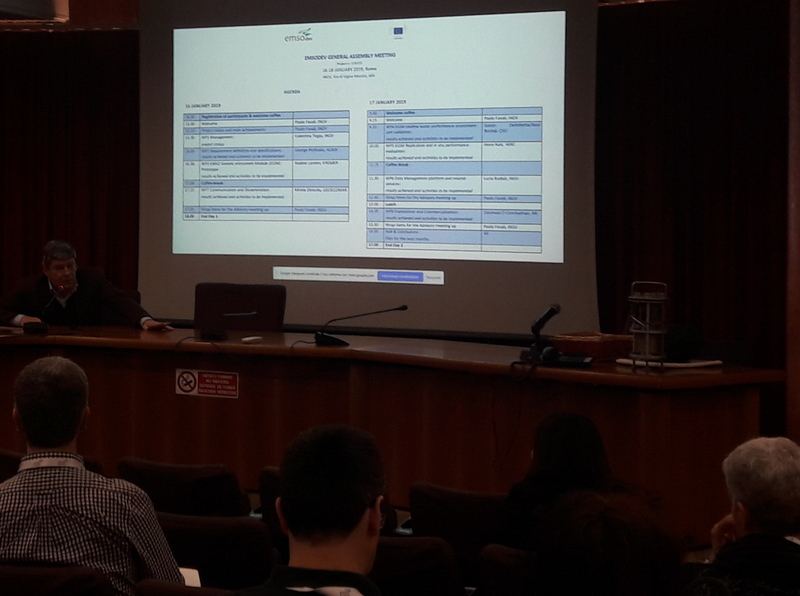 The EMSODEV General Assembly meeting is currently taking place at INGV headquarter in Rome and will last until Friday 18 January. The EMSODEV’s general objective is to catalyse the full implementation and operation of the EMSO distributed Research Infrastructure, through the development, testing and deployment of an EMSO Generic Instrument Module (EGIM), a device capable of providing consistent, comparable, regional scale, long term measurements of ocean parameters, thus ensuring the optimization and increasing of EMSO nodes interoperativity. The EMSODEV members will be taking stock of the project status and discuss the results achieved and the activities to be implemented in the next months. The agenda of the meeting can be found here.